I have a few updates already this month that I wanted to share with you. The biggest change was some under the hood code re-work I did on the main debt snowball calculation function. I made some changes to make it more accurate, especially on interest paid calculations – like on the debt payoff comparison page. 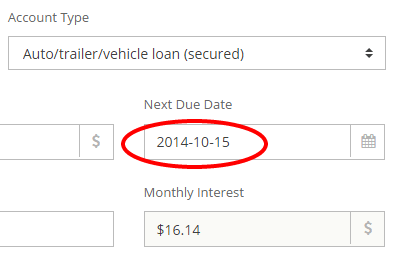 The other update I just added last night is an interest accrual history table on the debt detail page. This will show you a monthly history of the interest accrual charges that are automatically added to your account balance. Keep in mind that it’s not going to show anything prior to last month because I just added the automatic accrual charge function last month. I keep getting a lot of questions on how interest is calculated, so here’s how it works: every month, the accrued interest amount is automatically added to the balance on each account. This is all done automatically and there is nothing you need to do. The day of the month that the interest accrued is added to your account is the day that the debt is due. For example, if you have the “next due date” of your debt set to October 15, the 15th day of each month is the day the accrued interest will be added. Some banks will use a “statement date” as the day that the interest is added, while others add it on a different day. I didn’t want to add another date field that may confuse users, so I just tried to keep it simple and use the “next due date” as the accrual date. Another thing to remember is that if you have the debt set to use a 0% promo interest rate (like a 0% for 12 months), the accrued interest won’t be automatically added (since there isn’t any interest on zero). On other promo accounts, like 5% for 6 months for example, Undebt.it will just use the 5% as the interest rate until the promo expires and then switch over to the regular interest rate. Usually, the way the banks use promo rates is that if you don’t pay off the balance of the account before the promo expires, you’ll be hit with all of the accrued interest (at the higher rate of course). So always make sure to pay off or at least transfer promo rate accounts so you don’t get hit with all of that back-interest. 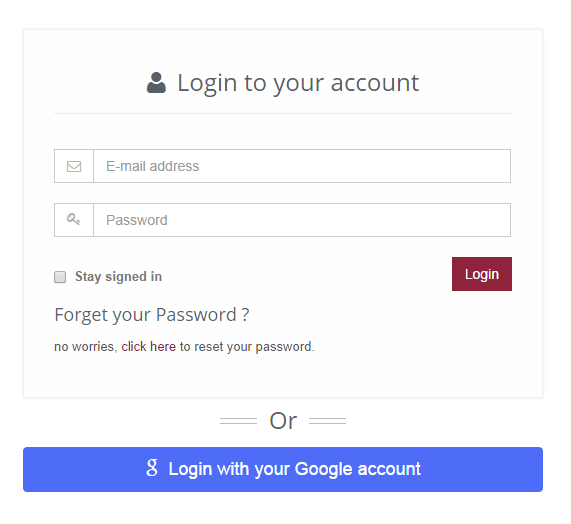 The last thing I wanted to mention was something I added a couple of weeks ago, the “login with your Google account” feature. It works for signing to an existing account or creating a new Undebt.it account. If you haven’t signed up for an Undebt.it account yet, there’s also a link on the new user signup page where you can use your Google account.